The Mobile Mechanic Service VIP Club. You will receive our Decal that must be placed on the back glass of your vehicle. This will be a QUALITY 3x3inch 3M vinyl decal. If you ever decide to remove it , it will come off with ease, with no residue left behind. -The decal must remain on the back glass of the vehicle. What are the benefits of joining our VIP CLUB? -10% off ALL of your future automotive Services. -The Subscription pays for itself typically within the first 2 service calls. -We are servicing the Fayetteville, Hopemills, Raeford ,Fort Bragg and surrounding areas. -$19.99 per month. This will be Setup on an Auto Pay. This will make it painless and Simple for you. -Tech Support, for your issues that may arise with your vehicle. After seeing all these great benefits of this service, if you decide to, You may cancel at any time. 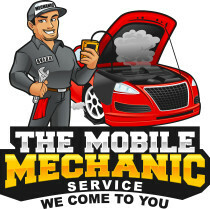 Copyright © 2012 The Mobile Lube Service- The Best Mobile Mechanic in Fayetteville NC. All Rights Reserved.